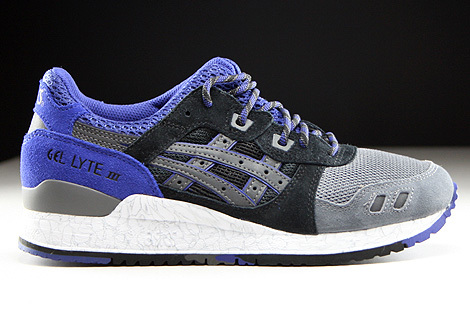 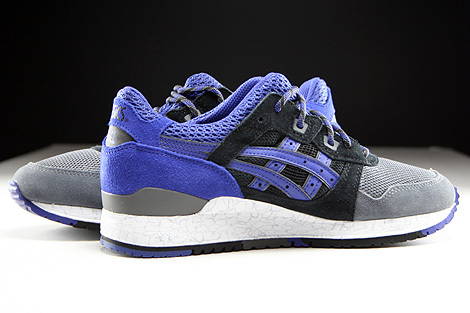 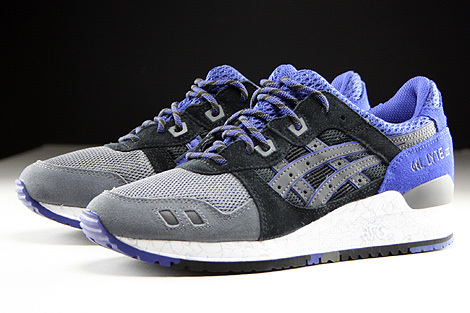 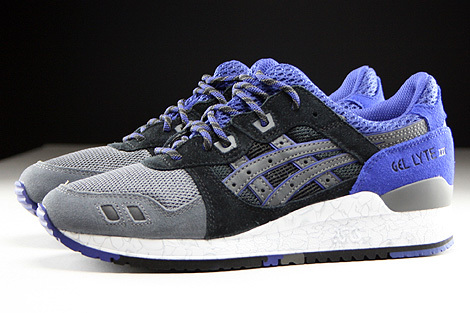 Asics present this Gel Lyte III in a dark grey mesh upper, purple detailing to the split tongue and ankle with tonal suede overlays on the outsole, lace and heel surround. 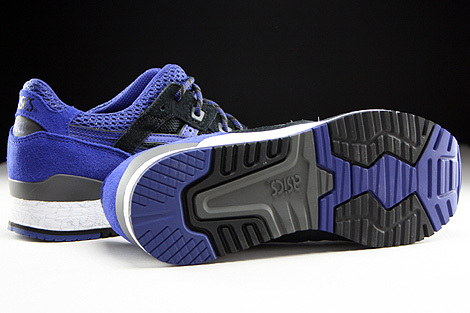 The shoe is sat on a white marble midsole with a purple, dark grey and black outsole featuring dark grey leather branding to the sidewalls on a purple backing and is finished with black branding to the heel panel plus purple/black rounded laces. 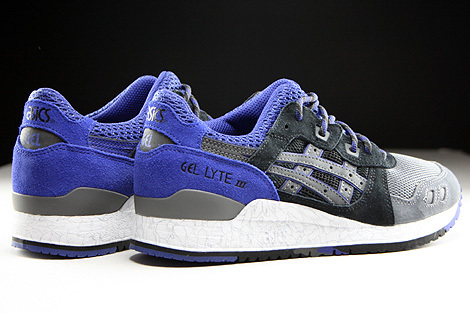 The High Voltage Pack marks the 25th anniversary of an iconic shoe, the GEL-LYTE III. 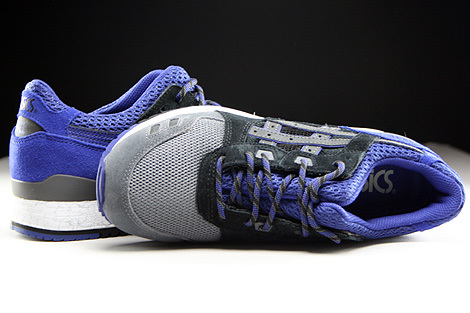 Back in 1990, at a time when high performance shoes lacked style, Shigeyuki Mitsui, the original creator, wanted to design the ultimate performance running shoe with the highest level of technology and function, but one that was visually pleasing unlike existing shoes at the time.